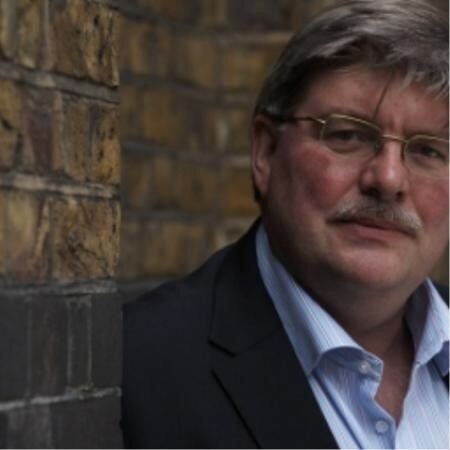 Russell Harlow is TMA World’s Senior Learning Consultant with over 33 years’ experience designing and delivering international management development programmes. Now based in the UK, he is one of TMA World’s lead trainers on issues of global leadership and cross-cultural intelligence. He is also Head of Global Resourcing, responsible for TMA World’s international faculty network. Before moving into his global role at TMA World, he spent ten years working as a presentation and negotiation skills consultant for European and Asian corporate clients. What started your interest in intercultural issues and drew you to become involved in the intercultural field? Well, it was a combination of experiences. Firstly, my wife is half-Chinese, so communicating with my Cantonese-speaking mum-in-law was quite an induction over 36 years ago! Professionally speaking, my first job after graduating was as an English and drama teacher in a Japanese school in the UK. In my four years there, I learned a great deal about that culture from both my pupils and my Japanese colleagues. And then, some years later, I had the opportunity to live in Tokyo for two years helping to develop a subsidiary company which offered language and cultural training for Japanese executives. As an interculturalist with a broad perspective on the needs of organisations and their international employees, what do you see as some of the key challenges our profession needs to anticipate and prepare for today? Personally, I think it is a fascinating time right now to be working in our field, with the global emphasis on personal identity, diversity and inclusion, and, in organisational terms, the need for cultural agility. So, with that in mind, our main challenge will be enabling our clients and learners to navigate through all the complex layers of multiple contexts and cultural biases. Developing a genuine sense of curiosity in others has never been easy. What we face now is a kaleidoscopic spectrum which requires not only the ability to decipher the myriad signals, but also an inclusive mindset which is able to look beyond the obvious challenges of difference and to seek ways of leveraging similarities. Can you tell us more about some of the projects you are currently involved with and how Country NavigatorTM is developing its services to meet the needs of different types of organisations and end-users? Quicker access to work-related challenges. Finally, we are building upon the profile tool to enable teams to explore the profile distribution of their team as a whole and receive a team report providing feedback on how that team can leverage the differences amongst themselves. Intercultural competence development is finally getting recognized as a key skill for international cooperation and business growth. What are your thoughts on repositioning the development of intercultural competence in our society to make it more prominent? The 21st century has heralded unprecedented levels of complexity and change within society. So we are now working with universities, business schools, language schools and executive education programs, helping students at all levels to develop their cultural intelligence levels (or CQs). The adoption of Country Navigator helps these centres of learning excellence to position CQ as a ‘portable’ skill that is critical to future careers. We are presently reviewing research options within the academic sector to properly evaluate and define competencies associated with CQ. How do you see the profession of intercultural training evolving in the next five-to-ten years? Any caveats for intercultural trainers? Recently there has been an increasing belief that the models we have relied upon for so long (Hall, Hofstede, Trompenaars) are not sufficient to describe the reality of our own experiences in 2018. While profiling tools have a distinct benefit for people who are less globally experienced, we will now need to tap into the research areas of neuroscience and bias management if we are to tackle the practical challenges of global collaboration. In addition, we should also look at the impact of providing real leadership challenges for those who need to acquire new skills, such as managing community projects and real-world learning on the ground. We have found at TMA World that putting people into live project-based situations where cultural preferences can be the difference between success and failure really sharpens the mind. It brings CQ out of academia and plants it firmly in the ground of global business imperative. Do you have an anecdote or a funny story about intercultural training or even something you experienced yourself?